Foam rolling exercises can help to relieve muscle tension, adhesions and soreness, promote blood flow, improve sports performance, increase flexibility, joint mobility, injury prevention, and rehabilitation. 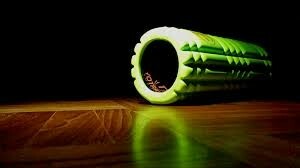 Foam rolling should be done before, during, or after workouts for maximum effect. Dr. Rodwin would be happy to show you a foam roll routine that can help you to enhance your recovery and increase your overall wellness! Dr. Rodwin demonstrates foam roll exercises on different areas of the body in the video below. Do not hesitate to email dr.rodwin@back2health4you.com if you have any questions or would like more information!